One very important item to research and consider when choosing a summer camp is the camper safety standards of the potential camp. The art of providing a safe environment for children should permeate all levels of camp operations, but it can be especially evident in how a camp trains their summer staff. If a camp is taking the responsibility of providing a safe environment for children seriously, a priority will be to provide quality summer staff who understand their role in creating that safe environment. Camps should have a highly selective process for hiring summer staff. At Covenant Harbor, the process includes multiple interviews with our full time youth ministry team as well as references from people who know applicants at work, school, or church. Applicants then have their first interview, and those who are deemed qualified have a second interview while their references are contacted. This multi-faceted approach to screening applicants allows us to hire the best staff possible. Utilizing fully trained summer staff is crucial to a successful and safe summer camp. A good camp knows that it is important for summer staff to complete the full hiring and training process. Our counselors spend 10 days in training prior to the arrival of our campers. Training topics include team building, small group leadership, evangelism, age characteristics, camper safety, daily role expectations, discipline, cabin group dynamics, severe weather and emergency preparedness and more. Covenant Harbor exceeds the training requirements provided by both the State of Wisconsin and the American Camping Association. 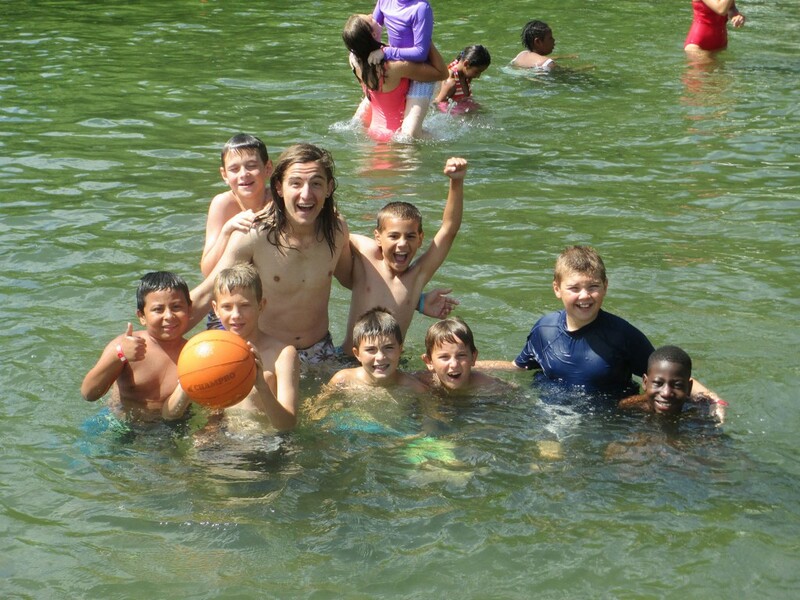 When camps hire non-counseling summer staff, it allows for specialization of summer positions. This staffing structure maximizes camper safety because counselors are more available to supervise and spend time with children instead of needing to lifeguard at the waterfront or run other activities around camp. Covenant Harbor has a number of non-counseling positions to allow maximum position specialization. It is essential for camps to be on the forefront of child protection policies and practices. At Covenant Harbor, all staff receive criminal background checks as a part of the rigorous hiring process. We also work with third parties (like Praesidium, Inc.) to integrate their detailed screening processes into our interviews and reference forms to ensure only the best candidates are selected. Our staff training at the beginning of summer also includes numerous sessions relating to child protection. During the camp week, staff should run activities with camper safety as a essential part of each activity’s procedures. Rules for each activity area should be clearly established and followed accordingly. Throughout the summer, activity procedures should be checked on a regular basis to ensure safety policies are being carried out. The best camps understand the need for creating a safe and memorable experience that disguises the safety factor from children wherever possible. Camps must strike a balance between providing a safe environment and not causing children to feel stifled in their experience. Covenant Harbor seeks to constantly improve our camper safety as one of our Core Values in all areas of camp so children are cared for physically, emotionally, and spiritually while still having a fun and life changing experience. Covenant Harbor is accredited by ACA (American Camp Association) and a member of the CCCA (Christian Camp and Conference Association) organization.